آیپد مینی۲ دارای پنل و صفحه ی نمایش خارق العاده ای خواهد بود و آیپد مینی۳ نیز در Q1 2014 رونمایی خواهد شد. Mass production of Retina displays for the iPad mini 2 will begin in the June - July timeframe, according to a new research note from DisplaySearch analyst Richard Shim. The analyst added that Samsung is not in the supply chain for iPad mini displays at the moment, nor will it be when the second-generation model comes out. “Samsung is currently not in the iPad Mini and they won't be in the next generation. LGD is becoming a much bigger supplier than before,” said Shim. LG Display has been making a lot of Apple’s screens lately as the Cupertino giant continues to push Samsung away to relinquish its dependence on the Korean electronics maker. CNet notes that other display manufacturers will participate in the iPad mini 2, but LG will be the main screen supplier. Shim said the iPad mini 2 would have a screen size identical to the one selling today, but with a resolution of 2048x1536 pixels (just like the iPad 3 and iPad 4, both of which have Retina displays). 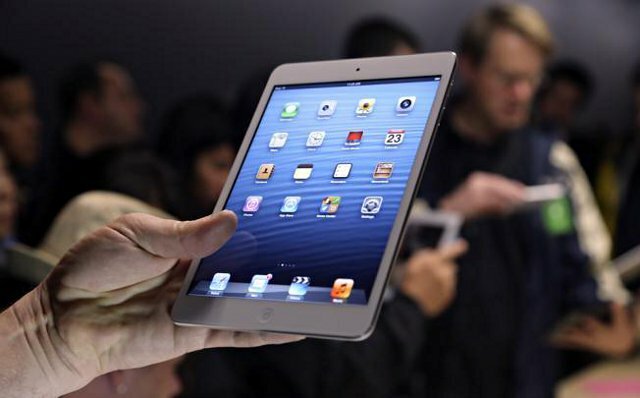 Since the iPad mini has a smaller screen, the PPI (pixels per inch) density will increase. In fact, it will have one of the highest density screens on the market, said Shim. “We're going to start to see a bunch of tablets [coming out] with a pixel density over 300. At a certain point it will be hard to discern that improved image quality,” he said. In the same discussion Shim also pointed out that Apple has an iPad mini 3 already planned for release in "Q1 2014." It isn’t clear whether that’s fiscal 2014 or calendar 2014. If Shim was referring to the former, Apple’s third-generation iPad mini could launch as soon as this fall.